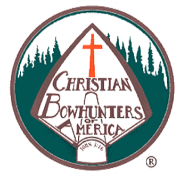 Christian Bowhunters of America is recognized as an important outreach to the archery community. With programs directed to both adults and youth, we proclaim the Good News of the Gospel through the common denominator of the bow and arrow. CLICK HERE TO LEARN MORE ABOUT CBA! Help CBA celebrate 35 years of ministry! Purchase this limited, special edition, ceramic campfire style mug for just $20 (shipping included) while they last!